Isn't that photo epic? 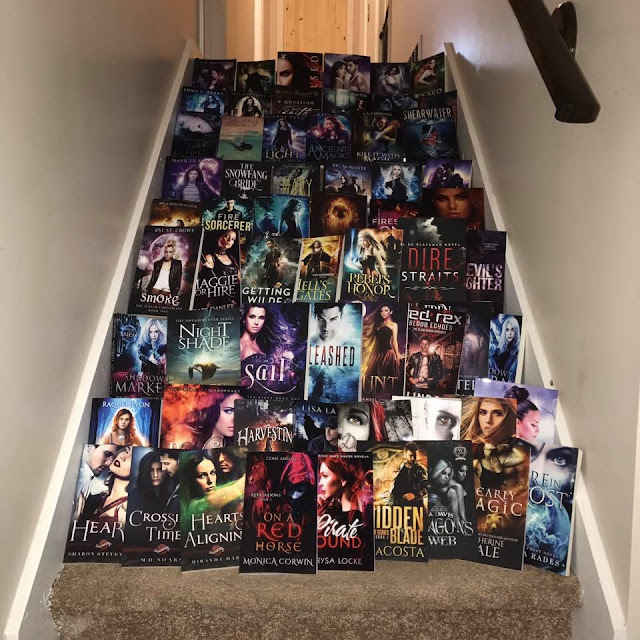 I'm really excited to be one of the sponsors for this massive paperback giveaway. You have a chance to win 62 paperbacks in this one. Since I can't win, you need to go forth and snag the goods for me! Do you see Layla? I have a copy of The Harvesting in that stack!